Mesolithic settlement dating to 7500 B.C. 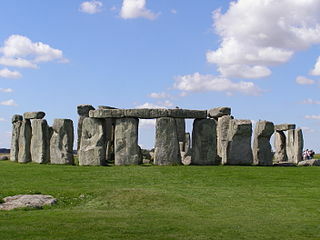 has been found about a mile away from Stonehenge. Archaeologist David Jacques of Open University began examining the area, which has a freshwater spring, thinking that hunter-gatherers would gather near water, where they could find animals. The people who lived in this settlement may have been responsible for erecting the first wooden posts at Stonehenge between 8500 and 7000 B.C. “The whole landscape is full of prehistoric monuments and it is extraordinary in a way that this has been such a blind spot for so long archaeologically,” he said.